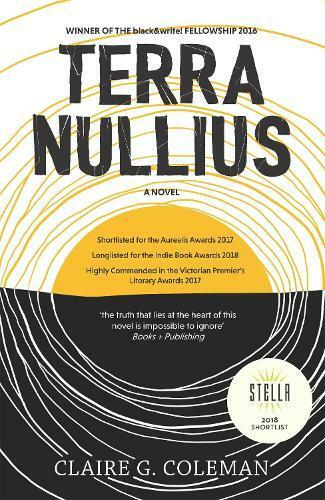 Claire G. Coleman’s Terra Nullius is a retelling of Australia’s colonial settlement, but not in any way you’ve read it before. Told from both native and settler perspectives, and weaving past and fantastical futuristic elements, Coleman’s novel was hard to put down. Meet Jacky: he’s escaped from a homestead where he was sent to work, after being educated to serve the settlers. Sick of the bad treatment, hunger, and overcome by a longing to find his home, he starts running with little idea of where home might be. Sister Bagra hates this place. It is so hot, dry and inhospitable. She is tasked with trying to teach the Native children so they can be of use to the settlers. Secretly she hates the Natives but can never let the other nuns know. She is in charge and this is her duty. She too dreams of going Home. Johnny Star came here to be a Colonial Trooper, but one too many gruesome, murderous raids on Native camps leaves him questioning his purpose and he absconds to join forces with a group of Natives and become an outlaw. Sergeant Rohan has been tasked with finding the escapee Jacky, to return order to the settlement. Rohan hates this land and its scorching dry sun, the settlers and the Natives. Esperence was born in the camp like so many of her people are now. She has learned to be careful and vigilant, to avoid the camp being discovered. Only Grandfather remembers back to before the invasion, before they left their own Country to try and avoid capture by the settlers. These are some of the people you will meet in this excellent and important novel that has left me deep in thought. It is one I’m sure I will re-read and will encourage others to do the same.